5 x 1/1 GN or 600 x 400 capacity. 12kg product capacity from +90°C to 3°C chilling. 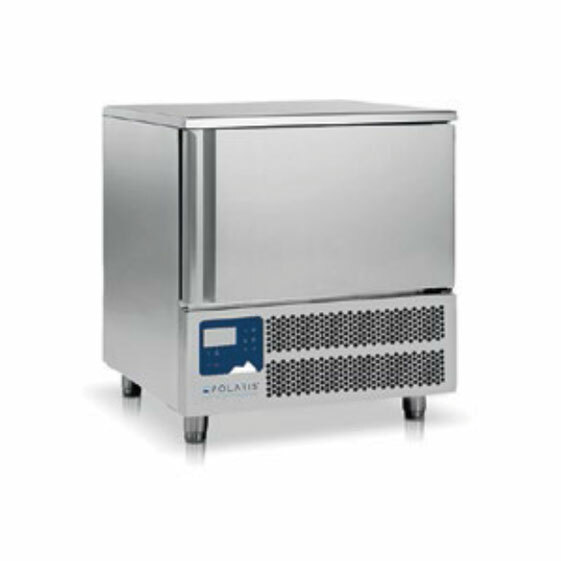 8kg product capacity from +90°C to -18°C freezing. 65 mm spacing between runners. Complete with heated core temperature probe and internal runners.